This 1995 case is the appeal of a criminal conviction involving a conspiracy to rob armored trucks at the Bank of New England, using Uzi’s and “ninja face masks”. UNITED STATES, Appellee, v. ROBERT EMMETT JOYCE, Defendant – Appellant. Defendant Robert Emmett Joyce (“Joyce”) challenges the imposition in his sentence of a three-level upward adjustment, pursuant to U.S.S.G. § 3B1.1(b). Joyce seeks to have the adjustment reversed and the matter remanded for resentencing. What makes a face mask into a “ninja face masks”? Presumably someone called them that, either in a submitted brief or in testimony? But the Court uses no quotes around the word “ninja” here. 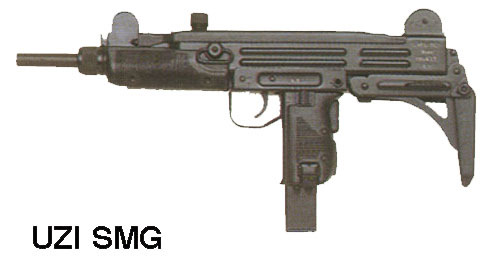 Contrast, the Court’s use of quotes around the word “torched” and “Uzi submachine guns”. This Court apparently feels that ninja is a common enough descriptor as to not need quotes. Not surprising then that the Court rules against this defendant, affirming the lower Court in giving Joyce a lengthened sentence. In my NinjaLaw post about a Ninja Hood, I wondered if labeling the hood a ninja hood is overly presumptive. Like calling a an object a burglar’s tool, it seems to imply an intent in the object before any action. Similarly the face masks in this case, are “ninja” because they are armed robbers? In 1992, convicted bank robbers appealed their conviction. UNITED STATES OF AMERICA, Plaintiff-Appellee, v. JASON KEITH WALKER, Defendant-Appellant. UNITED STATES OF AMERICA, Plaintiff-Appellee, v. LARRY BAXTER STALLINGS, Defendant-Appellant. On August 16 and September 19, 1991, the North Duke Street branch of the NCNB National Bank in Durham, North Carolina was robbed. In both incidents, a man wearing a dark, visored motorcycle helmet entered the bank, brandished a pistol and threatened violence, and robbed the same teller. At the appellants’ trial, the teller and other bank employees testified that, because of similarities in voice and mannerisms, they believed that the same man committed both crimes. J.A. at 58-59, 68, 77-78, 126-27. After each robbery, witnesses saw the perpetrator exit the bank, jump on a “ninja-style” motorcycle driven by another individual, and ride off. Unlike the sentence preceding, the quote “ninja-style” is not cited and it is unclear where the Judge got that from and why motorcycle is not also in the quote. It is also a Per Curiam opinion so it is unclear which of the three sitting judges (or their clerks) is responsible for the ninja usage. I take this moment to note how “ninja” is used as a descriptor. Ninja is a brand name Kawasaki motorcycle (see previous NinjaLaw case of Kawasaki Motorcycle) but here the word used as a generic descriptor of a type of motorcycle with no explanation of what that means exactly. In the previous NinjaLaw post about “ninja pants” the court first referred to them as “black karate pants”. What exactly does the “ninja” adjective serve to imply?